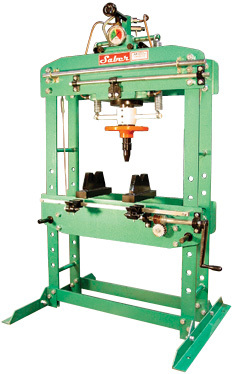 H-frame presses are used widely in the industrial world. 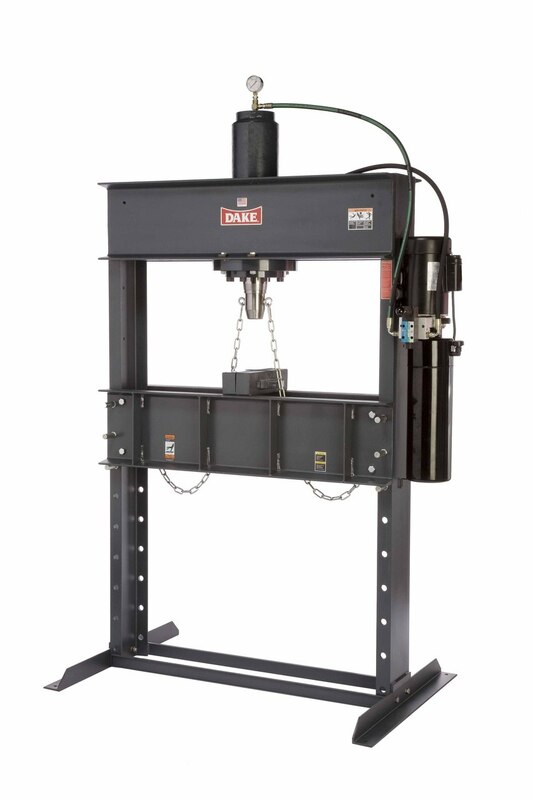 These simple hydraulic press machines can be used for straightening parts that are bent or pushing pins through holes and setting bushings in place. 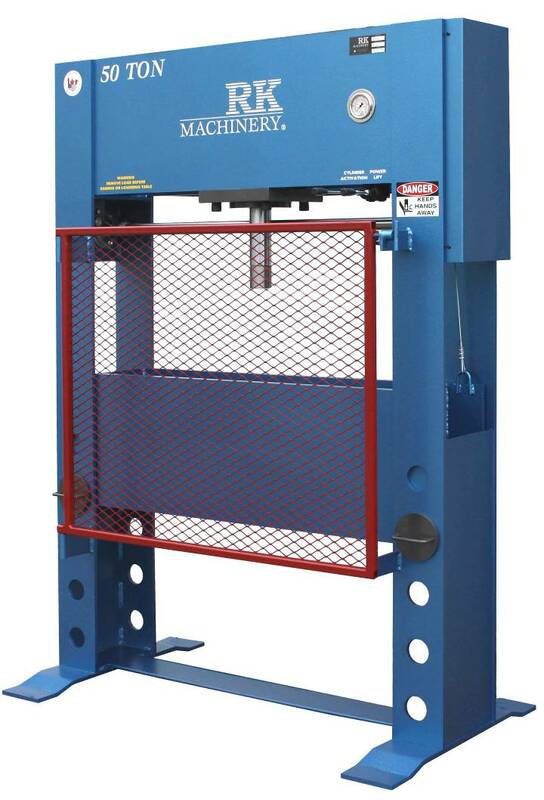 These machines are generally hydraulic with either a manual hand pumpe or full blown electric driven hydraulic units that can provide increased speeds and free up the operator’s hands for material handling. The different frame configurations can allow long parts to pass through between the frame rails, such as axles and just longer parts. Some press have the cylinder directly in the center of the frame or also have cylinders that are movable left to right for ease of moving to the area that needs to be worked on heavy parts or offset parts. Some manufacturers also have options such as stroke limits and tonnage limits that are adjustable. This machine saves so much time in any shop environment.